Prepare to enter the world of riches. 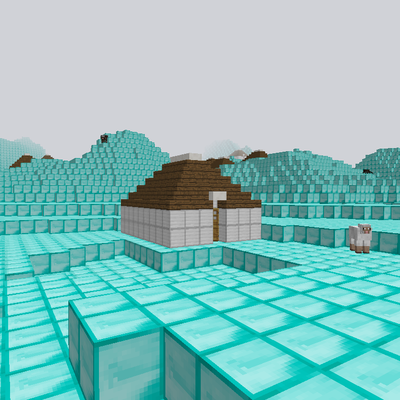 In this mod their are layers of diamond and many rich huts. The intended use is to have fun after you complete the game but you can go there whenever you feel it is right. The mod is like the nether portal but takes you to a rich area of minecraft instead of the nether. this is my first mod so their are a few bugs (too many rich huts spawn) will be fixed soon though. That sounds like a cool mod! Maybe you could make your own kind of flint and steel, made of emerald and diamond? That would make it sound more expensive for such a great dimension.